When we do an engagement shoot I like to plan for the couple. We talk about how they like to spend their time together, and create an engagement shoot that allows them to visit some place they enjoy. 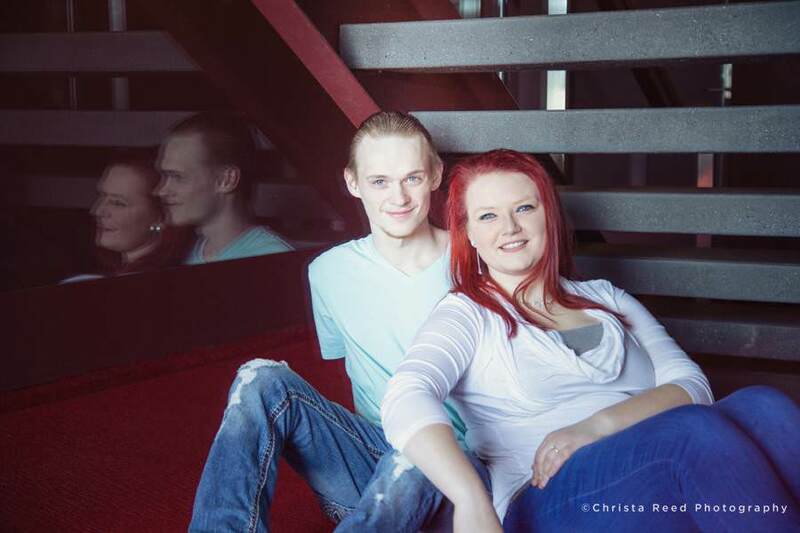 It makes the engagement shoot fun for both people, which makes them feel comfortable in front of the camera. This shoot was a little different. 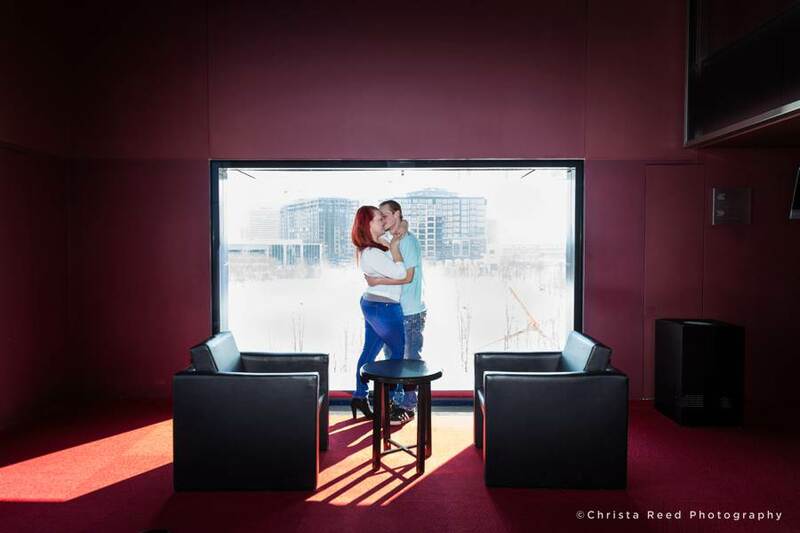 The Guthrie had been on my engagement shoot bucket list for quite a while. It’s an awesome location that’s a little nontraditional and has spectacular views of the city. 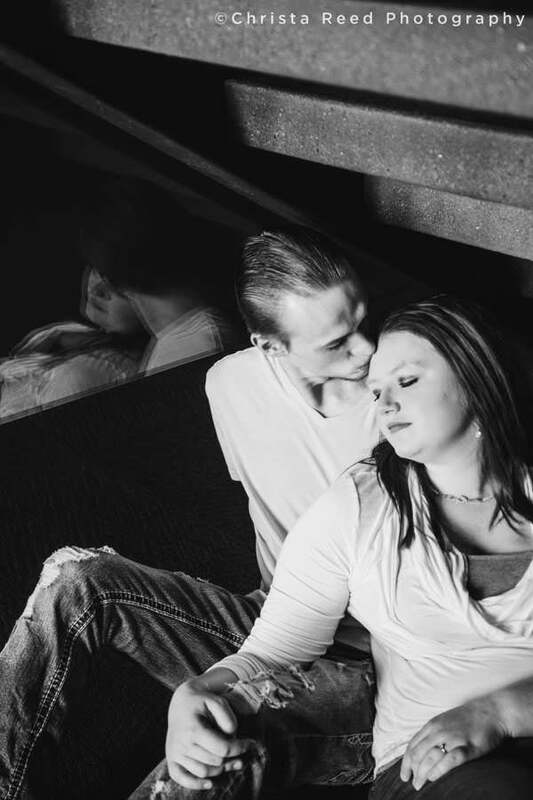 I went searching for a couple who was up for the challenge of creating a shoot there. Enter Sydney and Tyler! 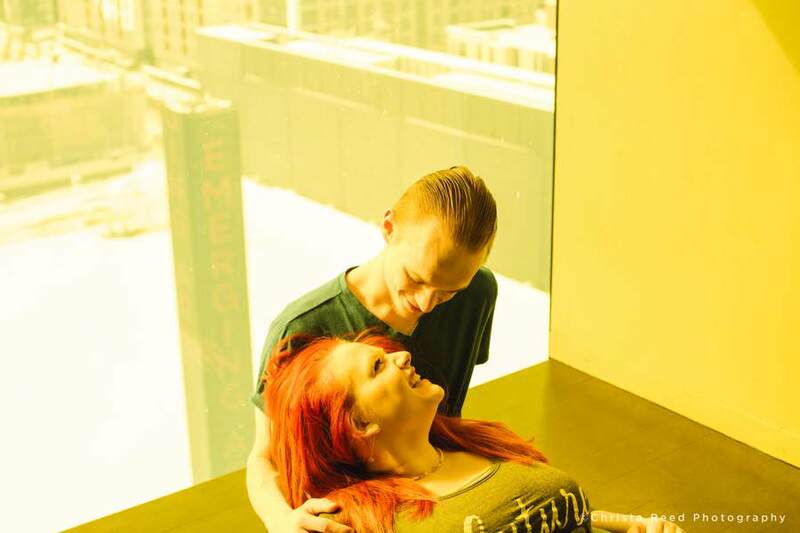 They agreed to swing by the Guthrie for a shoot before their wedding venue tour. We focused on their interactions together, the colors, and unique lighting inside the building. 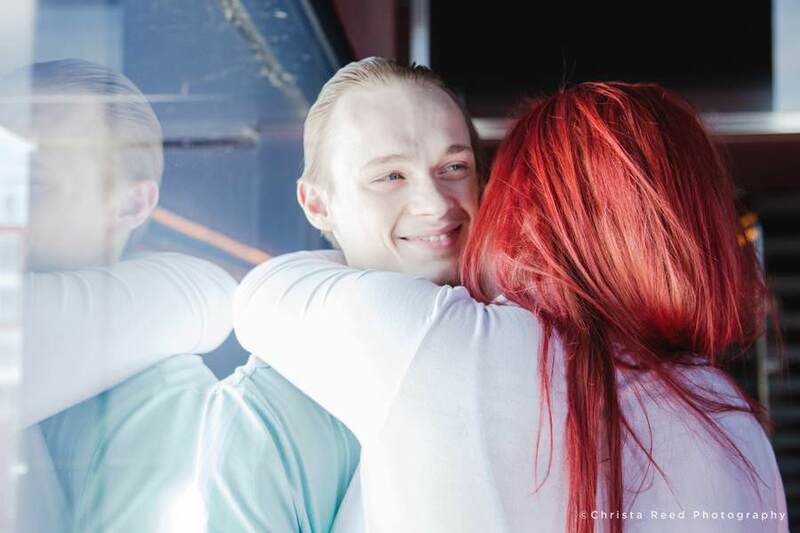 Romance, laughter, and a little bit of modern drama all manifested during this shoot. We had a good time exploring the building together and finding magical portrait light. 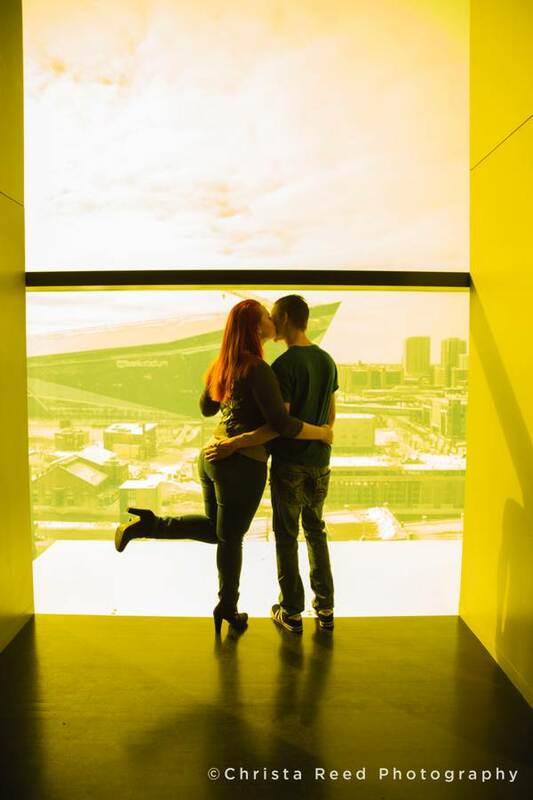 Things to consider for your own Guthrie Theater engagement pictures. 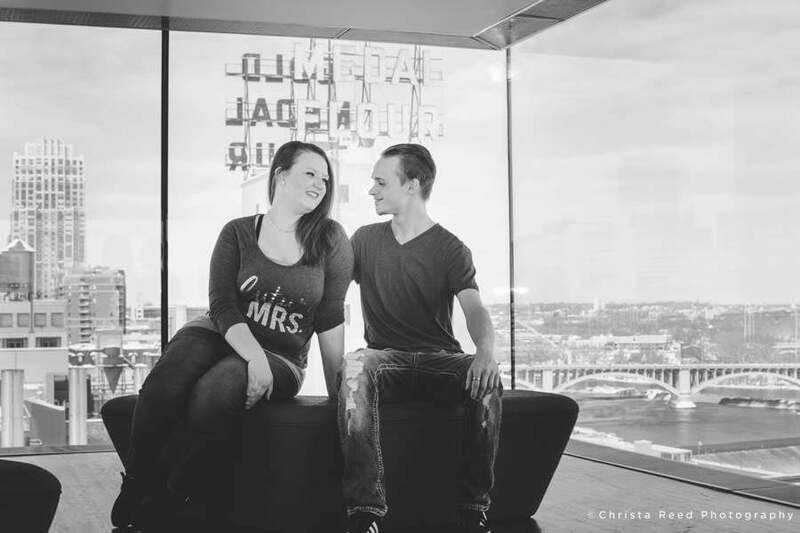 The Guthrie is a wonderful location for an engagement shoot if you don’t want to be outside. It’s easy to get to, and easy to find parking. It’s best to schedule your shoot for a day when there is not a production happening. 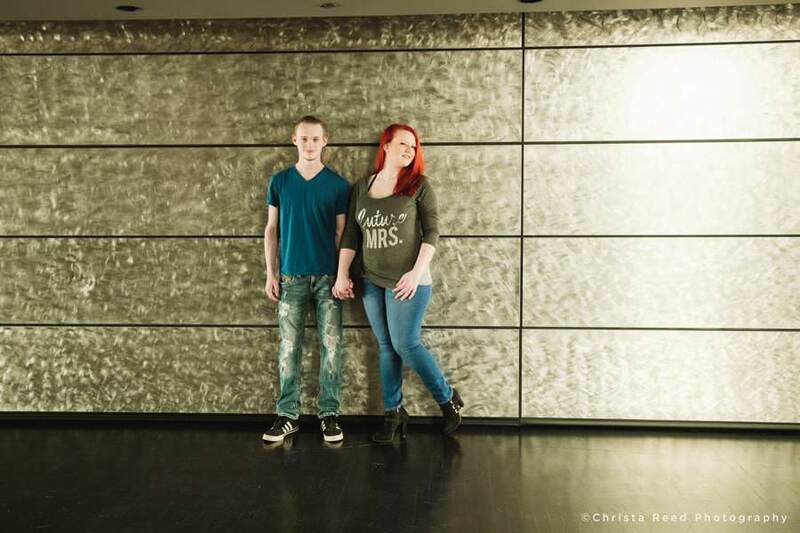 We did this shoot on a Sunday morning and pretty much had the building all to ourselves. There are so many spots inside to shoot, we spent an hour and only hit a few of the great spots in the building. You can dress up or go casual like Sydney and Tyler did here and your pictures will look awesome. I’m a Wedding and Portrait Photographer based in Southern Minnesota, who specializes in traveling to unique locations for engagement pictures. If this sounds fun, let’s connect.